This artist’s conception shows a star behind a shattered comet. 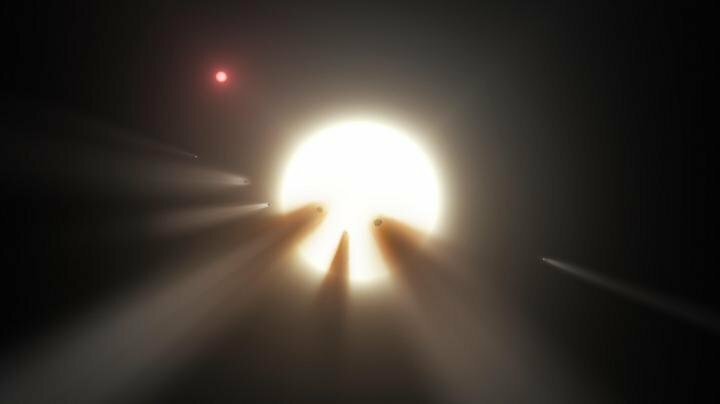 One of the theories for KIC 8462852’s unusual dimming is the presence of debris from a collision or breakup of a planet or comet in the star’s system, creating a short-term cloud that blocks some starlight. Simon and Montet’s findings have been accepted for publication by The Astrophysical Journal.